True Xbox fans never settle for just the basic equipment. At HSN, we know you're always searching for a way to take your game to the next level. For that, you need some video game accessories. 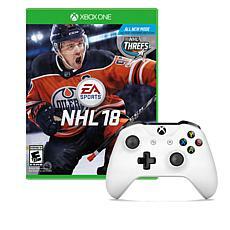 We stock various Xbox accessories like controllers and headsets to help you get the most out of your Xbox experience. 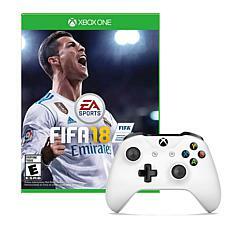 If you have the previous model, the Xbox One S, we have some great deals on wireless controllers, and it comes with a video game like Battlefront 2, Forza 7, Fifa 18, and Maddon 18. The latest console, Xbox One X, has an array of cool accessories on the market. 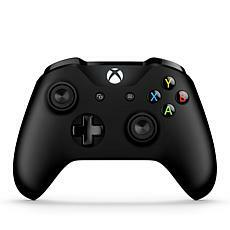 Xbox controllers, like the elite controller, has four extra programmable paddle buttons, trigger locks for rapid firing, and interchangeable joysticks. The vertical stand lets you position your Xbox in an upright position rather than horizontally to save space in small areas. If you have a massive collection of games, then you need the Xbox 8TB hard drive for extra storage. For the ultimate gaming experience, team your Xbox One X with a 4K television. The 4K capabilities of the Xbox One X together with a 4K TV explode your gaming experience. Pictures are more dynamic, sharp, and contain more detail. The bigger your TV screen, the more you'll feel like you've stepped right into the game.